Do Jordanians need Visa to Russia? The Russian law dictates that Jordan citizens who wish to cross the state border of the Russian Federation must hold proper visas. How to Get Russian Visa from Jordan? Citizens of Jordan should apply at the Embassy or Consulate of the Russian Federation on the territory of Jordan in order to obtain a visa. A package of documents, including filled out visa application form and a visa support invitation letter received from Russia, must be submitted. Obtaining the letter and sending it to the citizen of Jordan must be done by the inviting party. Where to apply for a Russian visa in Jordan? You can obtain a visa to Russia in any of the Consulates of the Russian Federation located in Jordan. See the list of Russian Consulates in Jordan, along with their phone numbers and location indicated on this page below. A citizen of Jordan who intends to enter Russia to travel for leisure and see the sights must file an application for tourist visa. In order to obtain that type of visa it is necessary to submit a documents and pay the consular fee. Tourist visa is the most effortless way to visit Russia since this type of invitation to visit Russia for Jordanian takes within 1 working day. It can be obtained from any travel agency assigned with an individual reference number. The law abstains from specifying how the support letter for tourist visa application should appear. Each authorized travel company is entitled to print invitation letters on their official letterhead. However, it is a requirement that the letter consists of two items: tourist voucher and reservation confirmation from the place where the tourist will be accommodated. The document must also provide all personal data of the Jordanian applicant as well as his/her itinerary in Russia, entry date and departure date, the travel company’s official name and reference number and the number of entries requested. Travel agencies do not conduct any checks to determine whether the citizen of Jordan in question abided the Russian law during his/her prior visits. Therefore, availability of invitation letter does not at all guarantee that the visa will be granted. If the Embassy finds out the Jordan citizen is known to break the law of the Russian Federation on his previous trips or has been deported from Russia in the past, his/her application will be refused. If all documents are processed successfully and no violations are observed during the inspection, the Jordanian citizen will be granted a 30 days visa. Holders of tourist visa can enter Russia once or twice. If the citizen of Jordan has friends or relatives who reside in Russia he/she can visit them by obtaining a guest visa to enter the Russian Federation. The inviting party should take over the responsibility of preparing an invitation letter for private visa. In order to obtain a visa support letter, the person or legal entity is obligated to submit an application to the office of the Federal Migration Service at the place of residence or registration and enclose a copy of passport of the foreign citizen. Obtaining an invitation letter for a single-entry visit for private purposes requires up to 12 working days of waiting time. Considering a double entry visa application can take as long as 17 days. The invitation letter approval process involves inspecting the record of the citizen of Jordan to reveal any facts of previous criminal conviction and/or unpaid fines. Also the visitor will be subject to a check for deportations from Russia in the past. If the applicant is recognized as not guilty of any misconduct, the invitation will be issued. Otherwise, a written letter of denial will be provided. After the private letter of invitation is obtained, the inviting party should mail it to Jordan. Foreign citizens commonly prefer tourist and business visas due to long waiting time. With an invitation letter at hand, a private visa valid for up to 90 days can be obtained. It permits a single or double entry. Citizens of Jordan who plan to sign a contract in Russia or meet with business partners are advised to apply for business visa. The party offering invitation should facilitate his/her obtaining of invitation letter in support of his/her business visa application. Organization, authorized to issue invitation letters in format of applications that can be submitted to the Consulates, may write a letter requesting that the citizen of Jordan in question be granted a visa. This will take only 1 day. The inviting party can file an application at the authorized body and obtain the invitation letter on the government-approved form. This procedure may take up to 12-17 workdays as it involves a check to make sure the Jordanian citizen has not been convicted of crimes on the territory of Russia and/or deported from the Russian Federation in the past. A Telex invitation letter can be prepared in case the visit of the foreign citizen is related to public interests. The waiting time can extend to as long as several days, however this is the most convenient way for a foreign citizen to obtain Russian visa. The applicant will be given a number which he/she should indicate when applying at the Embassy (Telex message is a directive sent by the Russian Ministry of Foreign Affairs to the Embassy of the Russian Federation). Business visa can be valid for up to 5 years. It allows a single, double, or multiple entry. Lodging a work visa application requires a package of documents. These papers can be collected if a Russian-based employer is willing to hire a foreign citizen. Completion of paperwork may take up to one and a half months. It is important that the employer obtains a work permit for their company in order to recruit citizens of foreign state. The next step for the employer would be to apply for a work permit for the actual person seeking to work at the Russian company. After that, a letter of invitation should be issued in support of his/her work visa application. These documents must be sent by mail to Jordan. 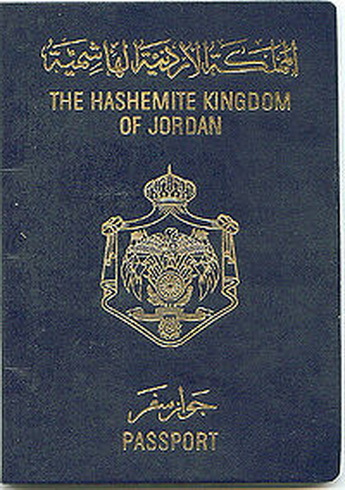 The citizen of Jordan should submit them along with other documents at the Embassy. After the application is accepted and successfully processed, a visa will be given. Upon arrival in the Russian Federation, the foreign visitor must register with the migration service office and extend his/her work visa for the period of his/her work permit validity. After that, it is necessary that the holder extends his/her registration at the office of the Federal Migration Service for the entire period of his/her visa validity. Work visa will initially be approved for a period of three months. After the expiry, it should be extended for a maximum of one year. Work visa extensions can be made as many times as necessary every year. Business hours: Sunday, Tuesday, Thursday — from 09.00 to 12.00. Emergency phone number in case of emergency​: +962-777-42-66-18 — duty phone overseas agencies.